MSN recently named the best hotel in every state, and among its 50 selections, four properties feature Nicklaus Design courses. 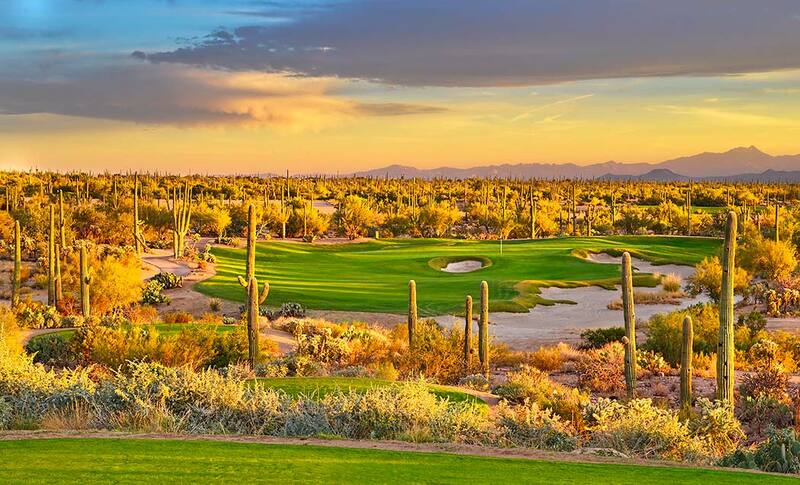 According to the list, Arizona’s best hotel is The Ritz-Carlton, Dove Mountain in Marana, Arizona, which features 27 holes of golf designed by Jack Nicklaus. The Saguaro, Tortolita, and Wild Borro layouts integrate strategy, variety and fair shot values. Each course presents unique challenges with its distinct character, and blends naturally among noble Saguaros and the surrounding Tortolita Mountain Range. The best hotel in Hawaii is the Four Seasons Resort Hualalai at Historic Ka’upulehu in Kailua-Kona. The Jack Nicklaus Signature Golf Course winds through over 7,100 yards, beginning in a lush kipuka (oasis) and then flowing across brilliant green fairways contoured against black lava. The course returns to the ocean, where the finishing holes capture the drama and the beauty of direct seaside golf. South Carolina’s best hotel is the Inn at Palmetto Bluff in Bluffton. The Inn is a collection of southern-style suites, cottages, and vacation homes settled between South Carolina forests and waterfront. The property’s May River Golf Club was designed by Jack Nicklaus, and weaves almost 7,200 yards along the banks of the May River. Wide, inviting fairways wind past ancient live oaks and palmetto trees, and the course uniquely features sand imported from the Golden Bear’s home state of Ohio. The Greenbrier was named the best hotel in the state of West Virginia. The National Historic landmark opened in 1778 and features a Jack Nicklaus-redesigned course among its amenities. The Greenbrier Course was originally built in 1924 by Seth Raynor and George O’Neil, and was redesigned by Jack Nicklaus in 1977. It is the only resort golf course in the world to have been the host site for both international Cup matches: Ryder Cup (1979) and the Solheim Cup Matches (1994).